Our own Chef BigFatPanda is back with a thirst-quenching new drink recipe inspired by a classic Disney attraction! As you know, Chef’s DIY Disney column here on the Disney Food Blog provides us with simple directions to make recipes that bring some WDW magic to our homes. 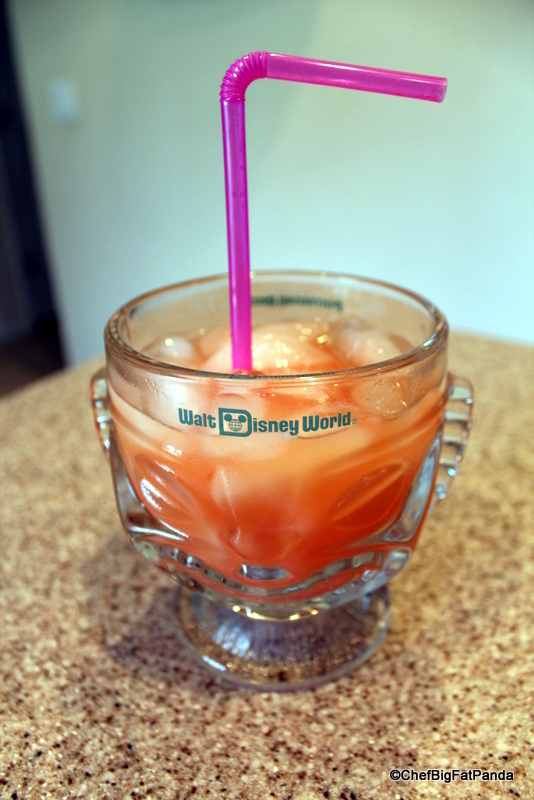 His latest concoction in the DIY Magical Drinks series honors the Enchanted Tiki Room. This beverage may induce spontaneous singing! 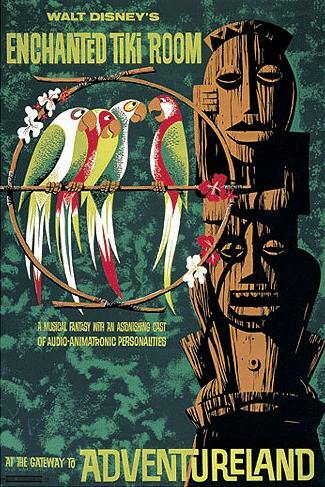 “In the tiki tiki tiki tiki tiki room”! Take it away, Chef! Just in time for summer! A Tropical Serenade! Welcome to a Tropical Hideaway, you lucky people you! 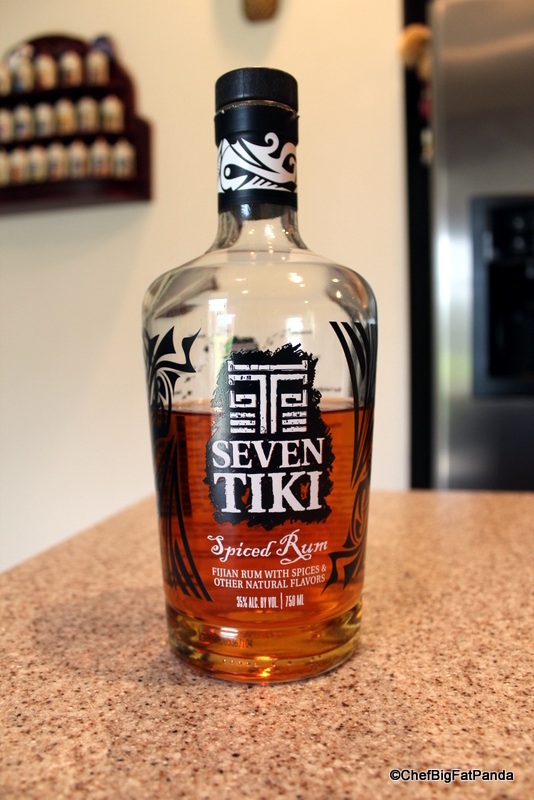 This Pina Colada style drink is made with a special Seven Tiki Spiced Rum. It has hints of Madagascar Vanilla and makes for a unique refreshing island enchantment. Seven Tiki Brand Spiced Rum is delicious and very strong at 70 proof, so be careful not to anger the Tiki Gods! Add a hammock, some sunshine, and some powdery white sand, and you’re ready to go! Enjoy! 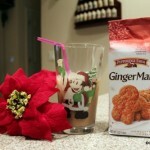 Watch for more Magical Drinks from Chef BigFatPanda here on the Disney Food Blog! 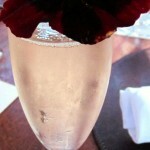 Don’t forget to check out Chef BigFatPanda’s column posts right here! That drink needs a tiny paper umbrella! 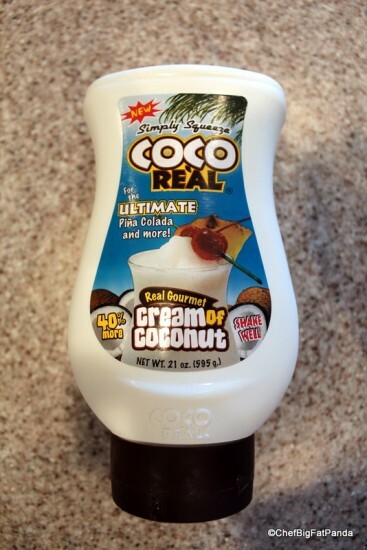 I had no idea that Cream of Coconut is available in a squeeze bottle! I’ve only ever seen it in a can…now I must ever after have the squeeze bottle kind! Chef, another great themed drink. Keep them coming – cheers. Jenna – Do they really sell those glasses in a case of 24? I am tempted actually – I LOVE THEM! They are my Huba Huba glasses (just my name for the Tikis since I was a kid). Jay – Right? It’s like ketchup now but full of sugar and carbs, so go slow – it’s just amazingly delicious stuff. Ah cream of coconut – the nectar of the gods! We have one of those mugs too, from ordering a special drink at Trader Sam’s Enchanted Tiki Bar at the Disneyland Hotel. 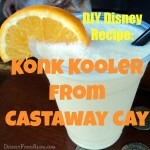 DH and I are big tiki fans so we will definitely be trying this at home. Thanks for the recipe, Chef! Jay – Coco Real is a tiny bit sweeter than Coco Lopez (the classic cream of coconut product in the can) but is easier to use (squeeze bottle and doesn’t need stirring – Coco Lopez tends to separate). We are total converts! Both are available from BevMo if you have one in your area. Another great recipe by the Chef! 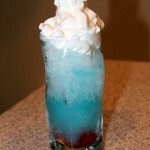 Wonderfully presented, I cannot wait to try this beverage at my next cook-out! Keep the good stuff coming! A little late, but they do indeed sell those tiki glasses by the case, Chef! I found them here: http://www.wasserstrom.com/restaurant-supplies-equipment/Product_403060?utm_source=google-products&utm_medium=shoppingengine&utm_campaign=GoogleBase It works out to a little over $4 per glass. If I didn’t live in a condo with a lack of kitchen storage and a climate that’s less tropical and more bipolar (we go from “OMG! So cold!” to “When did Michigan move to the surface of the sun?” in the blink of an eye), I would definitely have to squirrel away a couple of dozen. We live by the beach and I am always looking for a way to stay on island time during the work week, and this recipe hit the spot. We literally made it by the pitcher. Being Disney inspired made it all the more special as we just returned from Magic Kingdom and I am not ready to return to the real world. Thank you for all the DIY and recipes. 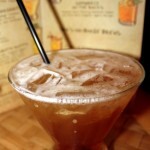 can’t wait to make these in our tiki glasses! had to bring them home from our honeymoon stay at the poly!